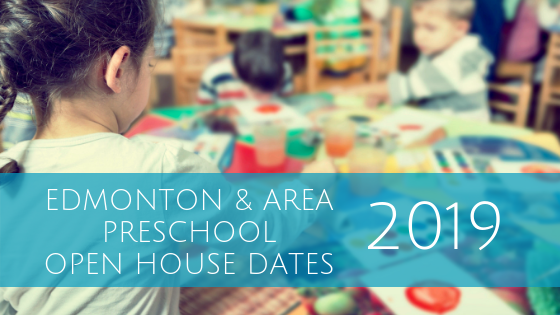 It’s that time of year again where preschools around Edmonton & area hold their open houses for parents and kids to see what they’re all about and to register for the 2019/2020 year! The philosophy of the Les Tournesols Preschool program is that children learn best through play. Play allows children to learn about themselves, their world, and how to interact with other people. Located in St. Albert, Les Tournesols is proud to be St. Albert’s only French Immersion Preschool and offers a gentle introduction to the French language suitable for children from both English-speaking and French-speaking homes. As a place where children can have experiences that will help develop good attitudes and habits in a bilingual environment, these experiences will help your child learn many new skills when they are ready (social, physical, intellectual, cultural-creative and emotional). Literacy and numeracy are the focus of our pre-kindergarten programs beginning at age three. Through diverse and engaging experiences we help students expand their math, vocabulary, and language skills, while they learn to interact with others, solve problems and work as a team. WECP is a learn through play program with no parent volunteer requirements. We have a 4-year-old program, an ages 3/4 combined program, and an ages 2/3 combined program. We have two classrooms with room for play and structured learning spaces. Parkview Preschool welcomes 3 & 4-year-old students with the convenience of morning and afternoon class times for all ages. Our preschool is run by a Parent Committee which offers both children and parents a community feels with an open door policy. Your child will experience the joy of learning, guided by a play-based learning philosophy. Little Friends Preschool is a non-profit, parent cooperative preschool for children ages 19 months to five years and is located in Edmonton’s Crestwood neighborhood. Our preschool offers three-morning programs staffed by six experienced, caring and highly-qualified teachers and educational assistants. We adhere to a learning-through-play philosophy in a creative, stimulating, structured and safe environment. Preschool classes for children ages 3-6. Our experienced educators blend curriculum with inquiry-based, child-directed learning, creating a dynamic learning environment. No duty days, no fundraising, and access to government subsidy. Snacks are provided, and our facility is bright, spacious and new. At Ladybug Playschool, we believe that children learn through play and that learning should be fun! Our non-profit playschool is a parent co-operative, but your participation gives you the opportunity to watch your child grow, learn and make new friends. Each month will have a different theme as well as special guests and field trips. Spaces are available for 3 and 4-year-old children and our teacher has a Bachelor Degree in Education. La Perle Community Playschool provides a ‘learn through play’ program for 3 and 4-year-old children. As a non-profit, parent-operated cooperative, the playschool depends on a partnership between parents, teachers, and the executive, to work effectively as a team to provide the children of La Perle an enriched playschool experience. This gives parents a unique opportunity to experience what your child does at playschool. Our community based, non-profit Playschool provides quality preschool education to children 3-5 years of age with a learn through play approach provided by a Teacher (B. Ed Degree and Early Childhood Diploma) and an Educational Assistant. Parents are not required to any volunteer days but are welcome and encouraged to participate in field trips, special events, and parties. The children get daily physical activity at our facility gymnasium or outdoor playground. Our two experienced and dedicated teachers create a safe learning environment for three and four-year-olds with familiar routines, songs, crafts, stories and free play indoors and out. We offer involvement without in-class duty days and no obligatory fundraising. Find out why families keep choosing Little Aspen Playschool. Mill Woods Town Center is proud to bring back their annual Preschool Open House Fair. Come to the mall between 6-8pm and see a variety of schools accepting registrations for the 2019/2020 school year. This is a great way to see all your options in one evening! Meet the teachers and ask your questions all at once saving you time. Lessard Playschool offers a learn-through-play program for 3 & 4-year-old’s in west Edmonton. We strive to give each student a positive experience and instill a love of learning that will grow with them. Our daily activities, art projects, field trips, and classroom reflect varied themes throughout the year. We have regular use of a gymnasium for physical literacy and gameplay. We also offer regular music classes with a fabulous music teacher! Our program is led by a teacher and teacher assistant and does not require parent roster days or cleaning bees. Beaux Esprits is a French Immersion, non-denominational, parent-operated playschool. Our program is designed for children ages 3-5. There are no parent volunteer days in the classroom, however, we do require their involvement in other ways to ensure smooth operation of the school. Small Sprout Preschool is a home-based preschool that fuses early literacy and numeracy with play. Features include a max of 6 students, individual attention, no volunteering or fundraising required and a teacher with a B.Ed and Child Development Supervisor Certificate. Our program is a Parent Cooperative program. 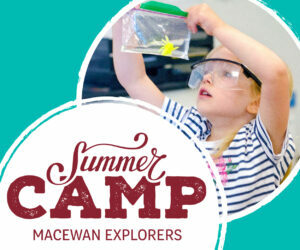 We offer a learning-through-play program with a focus on literacy and learning. Children have opportunities to explore the community and world they live in and learn essential skills to carry them forward on their journey of learning. We celebrate Halloween, Christmas, Easter, and other multicultural celebrations. We offer programs for children from 30 months to 4 yrs of age. Our program focuses on learning through play to address the whole child – including social, emotional, physical, intellectual, creative and spiritual skills. Teachers are professional educators and committed to quality and developmentally appropriate early education. Two programs are offered: one best suited for 3-Year-Olds, and one best suited for 4-Year-Olds. No Duty Days are required. German Club, 8310 Roper Rd. Kilkenny Playschool is a community-owned and parent-run co-operative school, offering a 2 day/wk program for 3-year-olds, and a 3 day/wk kindergarten readiness program for 4-year-olds. Our teaching philosophy is ‘learning through play’ with an emphasis on the social, emotional, physical, creative and intellectual development of each child. No parent roster days are required, but parents are expected to participate in two toy wash days, two fundraisers, and hold a minimal volunteer position. Can you add Rio Terrace community Preschool to this list. Open house is February 13,2019 from 6-8:30.